Comics Experience Blog: Brandon Seifert Joins Creators Workshop LIVE Tomorrow Night, April 24th! Brandon Seifert Joins Creators Workshop LIVE Tomorrow Night, April 24th! Just a reminder that tomorrow night, Tuesday, April 24, 2012 at 9pm Eastern Time, writer Brandon Seifert will be joining us live for an online Creators Workshop to discuss breaking in, his career, and his writing. 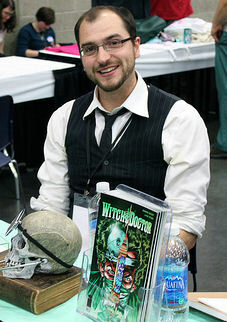 Brandon's break-out hit, Witch Doctor, was the first title published by Robert Kirkman's Skybound Entertainment, an imprint of Image Comics. 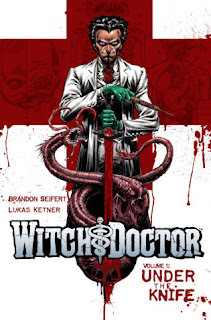 Witch Doctor initially consisted of a four-issue miniseries and a one-shot, now collected in a trade paperback collection, "Under the Knife". Brandon and Lukas are currently working on a second miniseries planned for 2012, titled Witch Doctor: Mal Practice. 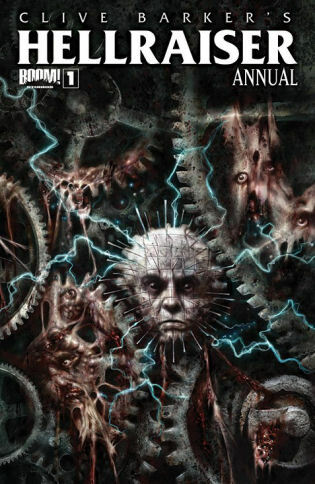 Most recently, Brandon's writing appeared in Clive Barker's Hellraiser Annual #1, published by BOOM! Studios and in comic shops now! Brandon has called Barker's work "a huge formative influence" on his work and on Witch Doctor. Join us at the Creators Workshop to take part in what's sure to be a great discussion with Brandon on Witch Doctor, Skybound, Hellraiser and more! Class didn't start until the next morning, but I dove into the first unofficial lesson: Know your shipmates. Recreational sailing is a team activity, and the stresses of working as a unit in challenging conditions can elicit the best (helpful, courteous) and worst (domineering, abrasive) personality traits. At sea, my father never raised his voice, even when we were headed toward danger. You're trying to activate your legs. You're going through so much suffering your toes are bleeding. Everything is just outrageous, but you're still enjoying that eclipse t shirts pain.". But while he waited for his flight t shirt design website at Chicago\u0027s O\u0027Hare Airport, federal agents got into his bags, photocopied his handwritten notes and put them back without him finding out about them. When they did a side by side comparison of his notes with the secret document, they discovered that they matched. John Slattery, who oversaw the case for the FBI, told us the bureau didn\u0027t make arrests until six month later, in February 2008.